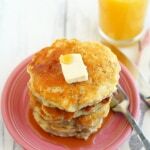 Vegan Coconut Pancakes with Mango Sauce. 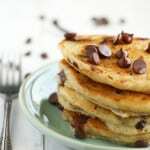 Gluten Free and Vegan Chocolate Chip Banana Pancakes. 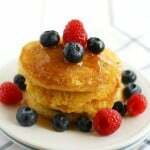 Cornmeal pancakes with fresh berries are the perfect way to start your day! 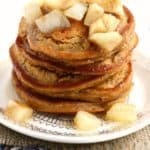 This yummy breakfast is vegan and dairy free! We had a busy weekend that included going to the farmer’s market, making pickles, coloring, playing, and swimming! And of course a nice weekend breakfast – that’s a must! 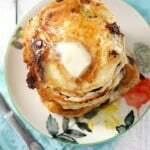 We love pancakes over here…. 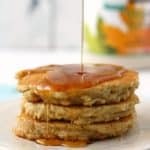 Vegan banana pancakes are fluffy, light, and full of sweet banana flavor. 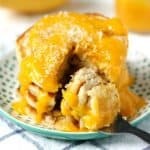 These are perfect for a weekend breakfast! 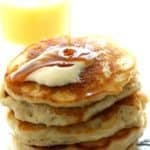 Is there anything better than a pancake breakfast on a Saturday morning? 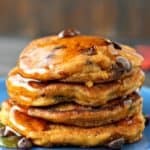 Yes, there is…a vegan pancake breakfast. We make pancakes regularly here, but we were in the mood for something different, so vegan banana pancakes made an appearance on the menu…. 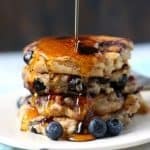 Light and Fluffy Vegan Pancakes.